Home > Recent > Shrink Bags Bagging Your Overheads? Food processors must keep abreast of the current trends in food packaging. For one, keeping up demonstrates a capacity for modernisation and adherence to industry standards. Apart from that, changing tack to mirror others with successful packaging solutions almost always means a fresher, more appealing product. This idea readily applies to shrink bag packaging. A crucial step in food packaging, the use of shrink bags ensures a long shelf life, is visually-pleasing, and increases production yield. However, when used incorrectly in production, shrink bags can hinder and slow the packaging process immensely. Keep a sharp eye out for following issues. If the production line is moving slowly, that cuts down on the overall yield. When using shrink bags, higher yield is usually expected. However, if traditional laminated patch bags are being used to package bone-in protein, time is lost. Traditional patch shrink bags require manual positioning over the bone and must be monitored to ensure the integrity of the seal. Solution: Change the type of shrink packaging used to package tricky foodstuffs. Adopting new packaging, like patchless shrink bags or bone guard shrink bags, ensures faster load times. This is because, unlike traditional patch bags, bone guard and patchless shrink bags do not need manual oversight for the positioning and sealing of the patch. Looks can be everything when it comes to packaging. Bear in mind that one-third of consumers make their purchasing decisions based on packaging, according to research cited by The Paper Worker. This spells disaster for products in unappealing packaging. If products aren’t selling, assess the packaging and design. Shrink bags can affect a product’s aesthetic by making them appear discoloured, obscuring the product, or refusing to fit properly. Conversely, if your product requires a longer shelf life, consider the addition of shrink film packaging. Solution: Evaluate whether shrink packaging works for your product. If it is stored in a case with harsh bulbs (i.e. meat) ensure that the shrink bag is UV-resistant to guard against discolouration. Shrink packaging with a high shrink rate will not obscure the product and will cling to the product more readily, offering a well-presented and tautly-packaged product. 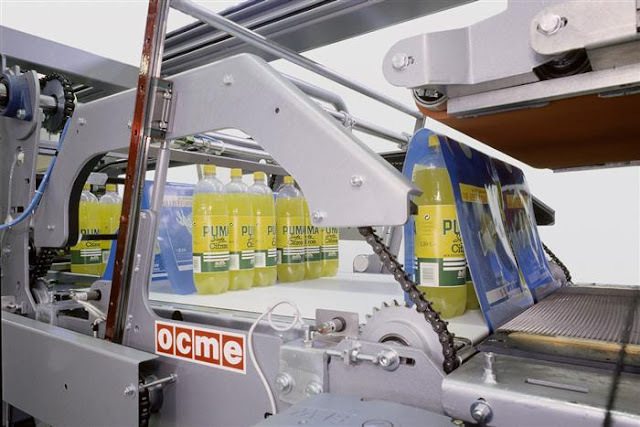 Shrink film creates an effective barrier against moisture and oxygen, prolonging the shelf life of products. Profit can be directly influenced by a protein’s water-holding capacity. If a protein is losing water after packaging, its shelf life and quality are lessened. Additionally, a food processor’s end yield is affected by the packaging used. Solution: Evaluate the packaging used, favouring one with a high shrink rate. Choosing a shrink bag with a high shrink rate will give protein an artificial second skin to contain product moisture. A better-suited bag will also improve the quality of the product and, ultimately, increase processor yield. Leaking at any stage of processing, transport or sale spells irretrievable financial losses. This may be because of shrink packaging, but can originate from almost any point in processing. Solution: Identify the source of the leak as soon as possible to prevent a large profit loss. A leakage problem is so monumental because the origin is not forthcoming and can be lurking at any the process. For example, if the product has changed in size/shape the packaging may be ill-suited for it. Look for packaging that fits the product. Another example: perhaps the seams are not fully closed or the bag is punctured. Look for a more durable shrink bag with better puncture resistance. It’s a given that packaging should be correctly-sized for the product. Another quality to consider is the weight of the packaging. Heavier film may not be the right choice for your product, and choosing one will result in wasted material and monetary resources. Solution: Of the utmost importance is choosing the right size shrink bag. Evaluate the type of bag chosen as well as the thickness of the film, keeping in mind your product.